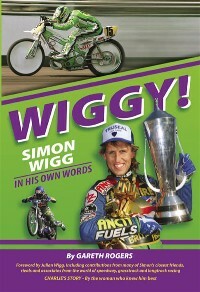 This book, the only one being produced by Retro-Speedway this year, was always going to be controversial. 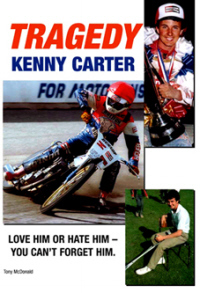 Kenny Carter is remembered as both a talented speedway star and a murderer - covering both subjects in the same book is a tough task and striking a balance difficult. This book seems to manage it, largely by reporting the facts in chronological order and not drawing too many ill-informed conclusions. It would be difficult to argue with virtually anything that's written with the pages and even when opinions are expressed, mainly by those that knew Kenny rather better than the author himself, these remarks are contextualised rather than sensationalised. 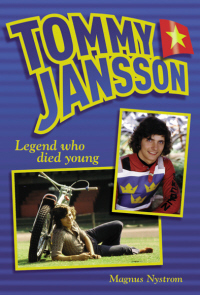 You'll certainly understand Carter (the racer, if not the murderer) better after reading this book. The perception of him as a boy bankrolled by a wealthy father is only half the story. His upbringing was unbelievably tough, losing a brother and mother while still a child and carrying a degree of guilt over his mother's suicide throughout his life. Even in his early racing career he was involved in two races where fatal accidents occurred, enough to persuade most youngsters to look elsewhere for kicks. Clearly, Carter wasn't put off and perhaps these tragedies actually played a part in his later success? 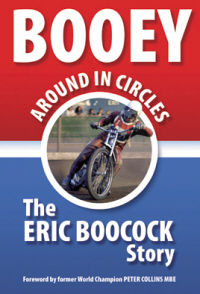 That's certainly one of the themes this book explores and it would explain his uncompromising attitude to life and the sport. He also had a quite incredible will to win, something all too often lacking from British riders. This is best exemplified by the recollection from Eric Boothroyd that Kenny simply stopped playing him at snooker after a couple of defeats. This is just one of many fascinating insights that Boothroyd, something of a father figure to Kenny, provides throughout the book. 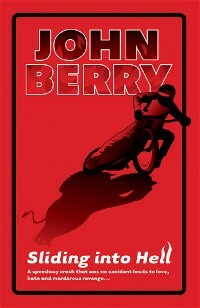 There are also contributions from the people who worked and raced alongside Kenny. Be they mechanics, managers or fellow riders - Bruce Penhall and Peter Collins have not softened their attitude to Carter after all these years - they hated him when he was alive and the manner of his death and the intervening 21 years have done nothing to change that. 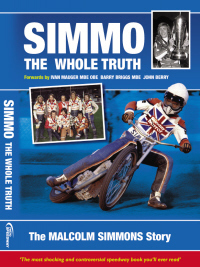 Indeed, Penhall only agreed to speak to the author once he found out that part of the proceeds of the book will go to Carter's children - Kelly-Marie and Malcolm. 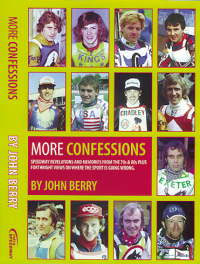 Kenny's relatively short racing career is obviously featured in great detail. His early practice outings at Halifax, his spell on loan to Newcastle and his days as Halifax's number one are all covered, with much new flesh added to the bones of these stories. Of course, the meetings for which he's best remembered are also given due prominence. It's fascinating to read again of the legendary world finals of 1981 and 1982, so much so that you're bound to reach for the video to relive them once more. There's also Kenny's later attempts to qualify for future finals, including the well-remembered British Final in which he rode with a leg in plaster. All great stories and all well told once again in this book. Sadly, the final chapters of the books are less "Boy's Own" and more "Hammer House of Horror". They recall the events of early 1986 when Carter, struggling slightly on track and losing money off it, took the life of his wife Pam and then his own. Contemporary press reports suggested that Pam had been having an affair and that led to the tragic events that followed. These claims are re-examined in the book and are found to lack any real substance, though not ruled out entirely as a motive for the killing. What's most chilling about the account of that tragic day is the realisation that this wasn't a spur of the moment act. This was cold and pre-calculated murder, something that perhaps wasn't common knowledge previously. Whatever your feelings on Carter, this book is worth reading. You'll perhaps understand him better than you did previously, you'll perhaps be horrified once again about the way he lived and ended his life. Regardless, you'll find it difficult to put it down. Published November 2005, £15.99, in softback. One memorable moment for Kenny's career was at a meeting that was going to be rained off, this particular meeting featured Kenny who was riding with a broken leg. Kenny said that if he could ride with a broken leg, the others could ride in wet conditions. Carter went on to win the meeting, proving he is a rider with character and skill. The former England team rider had many great races with the likes of 1980 world champion Micheal Lee and Danish rider Erik Gundersen. Carter will always be best known for his rivalry with Bruce Penhall. Whilst riding for Halifax, Kenny asked for a written transfer unless the promotion signed other riders for the team that could score points because he was so good. Kenny's average reached above 11 points at one stage in his career! Of course, Carter is also well known for his death and the events leading up to it, but, although what he did cannot be forgiven, he left an unforgettable legacy in British speedway."